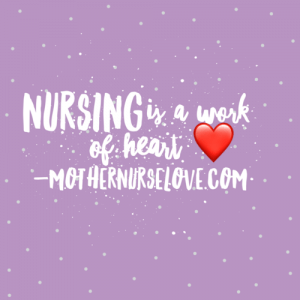 Have I mentioned how much more I am loving my job now since I started working as an emergency room nurse? A year ago I was a per diem resource nurse who worked on multiple different med/surg and telemetry floors all over our hospital. 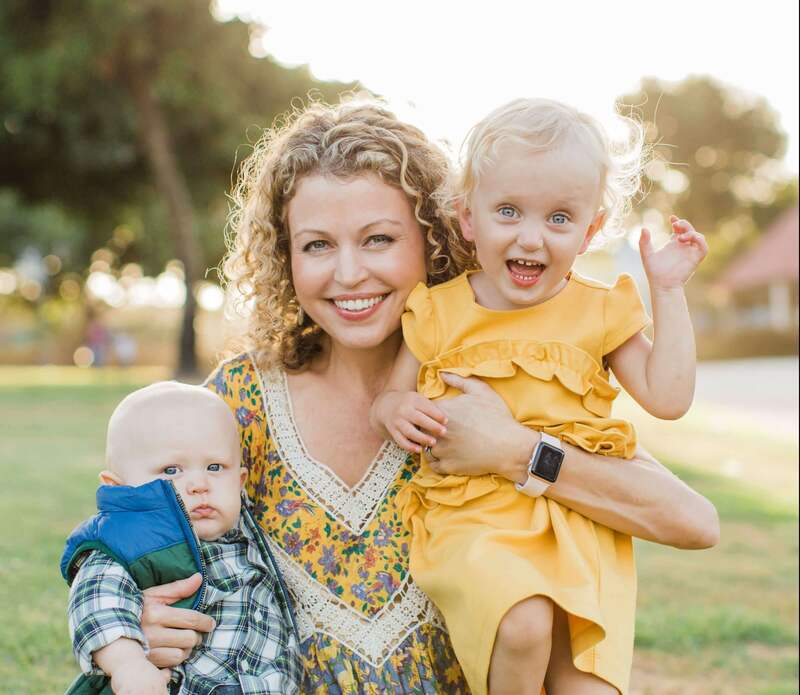 Being a resource nurse works well for me due to the flexibility it gives me as a working Mom. But unfortunately, I was becoming incredibly burnt out. Bitter even. I was losing my passion and I started to wonder if I was due for a career change-up. I even went so far as to interview for a few medical device companies as a Clinical Nurse Specialist (I was a medical device salesperson before my career change into nursing). Needless to say, I am so glad I decided not to accept any of those positions! 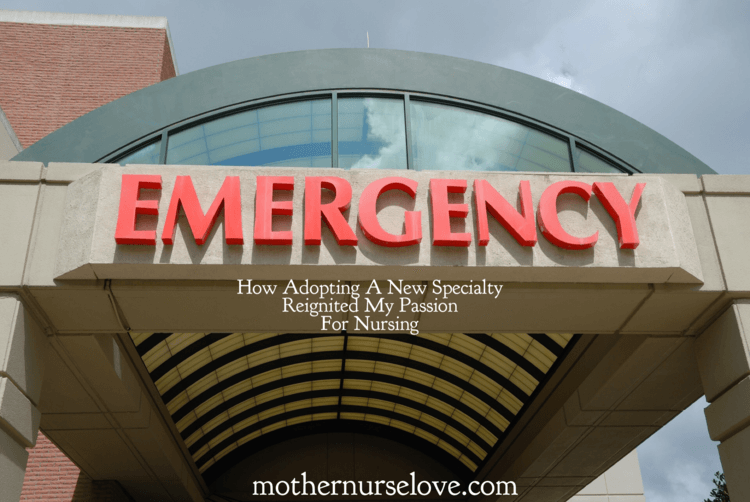 Instead, I adopted a new specialty as an RN in the emergency room and reignited my passion for nursing and healthcare. When the opportunity came up for me to interview for cross-training into my own hospital’s level 1 trauma center, I jumped on it. I started my ER journey on Easter Sunday 2017. I have always thought of the ER as a scary portal into the hospital. We are often overbooked with patients and the load can be relentless. There are sometimes grim patient situations and sometimes patients die, despite every life-saving effort. You will be hard pressed to find medical professionals who deal with more stress and pressure then emergency room nurses. But I am grateful to expand on my med/surg and telemetry knowledge base and learn a new specialty. My IV start skills are so much better. Since becoming a nurse in the emergency room my IV start skills have gotten so much better. In an emergency we need to be able to start IV’s fast for testing, various medications, pain and nausea relief, IV hydration and antibiotic therapy, among other things. Fortunately in the ER, I get the opportunity to start anywhere from 5 or more IV’s in a single shift. So I have the opportunity to perfect my skills frequently on many patients who are difficult IV sticks. Many of the nurses I work with have been in the ER for a decade or longer and their IV skills are unbelievable. 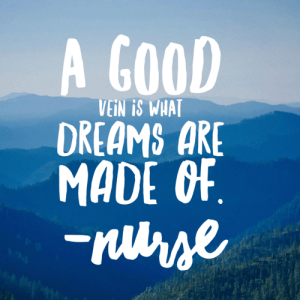 Several nurses are even trained to do ultrasound guided IV starts on patients with hard-to-stick veins. There is an enormous variety in our patient population. Every day is an adventure. Sometimes it can be overwhelming, but never boring. I have had patients ranging in age from 2 days to 108 years. Patients have arrived with complaints from hiccups, to every type of accident you can imagine and everything in between. As one would expect, many of our patients are really sick or critically injured. Our patient loads include: various types of trauma patients, septic patients, elderly patients, organ transplanted patients, patients with cancer or autoimmune diseases, psych patients, and small children and babies, and so much more. There is rarely a dull moment and always something new to learn. The teamwork in the emergency room is impressive. The coordination when a trauma patient arrives is amazing. Patients come in to the ER in urgent situations where the cause if injury or disease isn’t yet known. Doctors, nurses, techs, pharmacists and other medical professionals cohesively work together to give fast life-saving medical treatment. In addition, emergency room nurses often have their own sections but there are also many “resource” nurses on the floor to assist with additional patient care. When a patient arrives with a more serious condition, there are always nurses who come in to help. For example: we call a “code” for septic, stroke and head trauma patients. It is an overhead call to other nurses in the ER that a particular room needs additional help. Within seconds there are a handful or more nurses in the room helping with triage, initial assessments, IV sticks, blood draws, and many other nurse protocols and procedures. The emergency room moves fast. Many call it “organized chaos.” The emergency room is fine-tuned machine with each nurse component working semi-gracefully around one another. From the outside it might look like craziness, but the madness always has a method. I am a closet science geek. And I love the cerebral stimulation that I get as an emergency room nurse. I have had the opportunity to see more disease states, complex injuries and unusual diagnoses then I ever could have imagined even existed. I just have to laugh at some of the stuff I see. Please forgive me for saying this. This may seem inappropriate but it is how I maintain my resiliency. The emergency room is a very emotional place. Patients never want to be there and usually don’t understand, for example, why they have to wait in the hallway an hour or even much longer until their test results are completed or the medical team decides on a plan for them. They get upset and tired of waiting. Sadly, sometimes they take out there frustrations on the people working the hardest to get them the medical treatment they need: the nurses. Sometimes things just get so odd that I can’t help but laugh. There are days when I see people come into the ER saying that they feel like dying, but end up having a diagnosis of constipation. Once I had a college student come in for a temperature of 99 degrees. I’m like, seriously? How do you even get through the day? I have had so many “I couldn’t make this stuff up if I tried” experiences in the emergency room to last me a long time. But that’s one of of the reasons I like being in the ER versus other parts of the hospital. It can get weird, but I’m always learning. And I’m so grateful for the opportunity to keep learning. Are you an emergency room nurse? Have you always worked there? Have you tried any other specialties? I would love to hear your thoughts.